Before you can begin trading, you first need permissions from your broker to trade options. With almost every broker such as Interactive Brokers, ThinkOrSwim, Speedtrader, Etrade, Fidelity, etc – the ability to trade options requires an extra Options Agreement Form. You basically have to apply to get options privileges and the brokerage will determine, based on your questions to the simple questionnaire, whether you are allowed to trade options – and if so, what level. Below is a sample from the SpeedTrade Options Agreement legal document. The Options Agreement document begins with personal information such as your account number, name, income, etc. If your goal is to get options permissions – you don’t want to say that you do not have any prior experience with options. 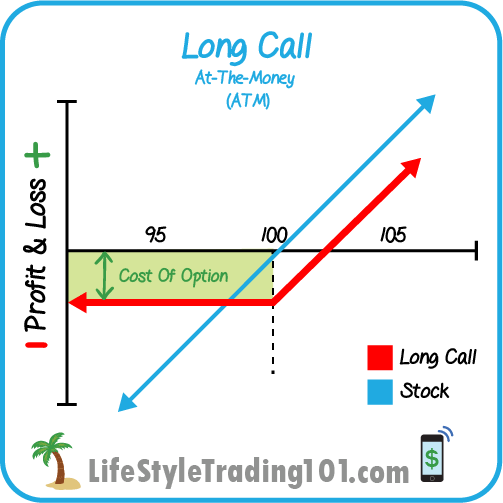 If you have to, paper trade with options, take some options courses – or follow along with us here at LifeStyleTrading101 with our member trade alerts and get familiar with how options can be used. The more you mark down for “years of experience” with options and “transactions per year” for options – the greater the chance that you will be approved for options privileges. These documents come with all kinds of options risk disclosures – they are typical saying that options are high risk, etc — and yes you should understand that. If you options objective is for “current income” — that’s basically writing covered calls (Level 1 in below screenshot) — and you try to apply for higher levels of options usage — then you will likely only get Level 1 privilege. While that may be your objective – I think it would be prudent to say that your intention is for one of the other more risky investment objectives — so that you can get approved for higher level options. Even if you may never use Level 2, 3, or 4 for options – it doesn’t hurt to have additional tools in your arsenal. 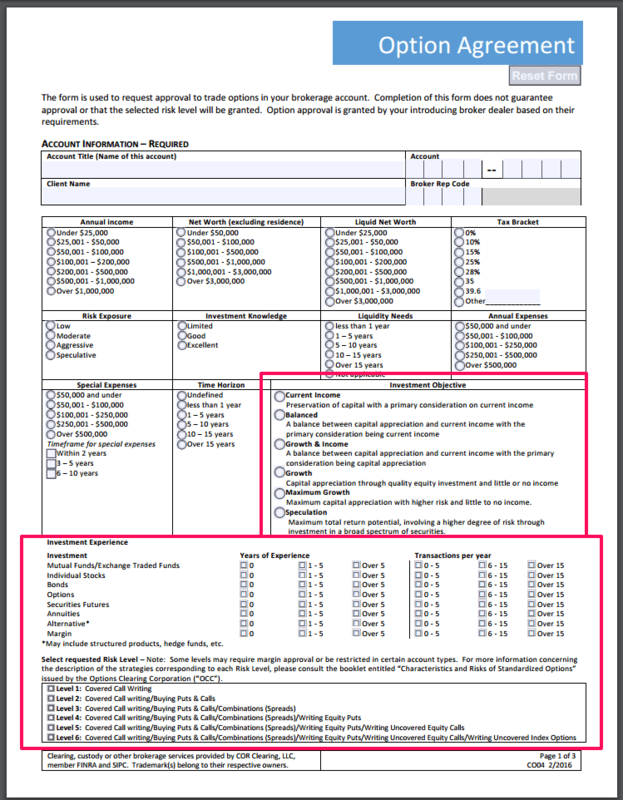 Most people use options for speculation purposes – but if you have some other purpose, feel free to fill out the form according to your objectives and needs. This is the most conservative options level that gives you the ability to sell covered calls. That is, only when you already own 100 shares of a stock – are you allowed to sell 1 call option against that 100 shares of stock you own in order to collect the premium value of that call option at expiration — assuming that call option expires worthless (the stock does not exceed the strike price of that call option). So if you have 100 shares of a stock trading at $10 — that’s $1,000 in value. Since the stock is trading at $10 – you would sell an out of the money call (say strike price $12) — and collect the value of that call. The value of that call increases your “cash” value in your account – but that doesn’t really belong to you and it doesn’t do anything to your net liquidation value. You only get to keep that money if and when that option expires worthless — meaning that the $10 stock does not expire above $12. It’s ok if the stock goes over $12 temporarily – so long as on the day of expiration, the $10 stock is below that $12 strike price. If so, then you get to keep the call value premium — which might be something like $.50, for example. Since options have a 100x multiplier – that $.50 call option is effectively $.50 * 100 = $50 in value. So you would collect an extra $50 — as long as the stock is below $12 at expiration. That’s what covered call writing (selling) is. Level 2 options is the same as level 1 – so you can write or sell covered calls against stock that you already own. You also get the ability to buy puts and buy call options. So I would say Level 2 options is the the most basic options trading permissions you should get. Just keep in in mind that buying calls and puts exposes you to time decay risk. But at an absolute minimum, you should aim for level 2 options trading privileges. With level 3 options, this is where spreads start to come in play – which is what we do quite often with our member trade alerts at Life Style Trading 101. With level 4 options, this is the same as our recommended Level 3 permissions + the ability to sell naked puts. Generally, you would sell naked puts if you are waiting to buy a stock but hoping it dips. If it never dips up until expiration, well, then you get to collect the put premium. If it does dip – then your puts will lose value and you could end up in negative territory even beyond the value of your put. So say you sell your put for $.50 ($50 worth) — if the stock drop below your strike price or even towards it, the the value of that put that you sold for $50 could increase towards $100 or $150 or even $200 — this is why selling or writing naked puts is a bit more risky. However, if your intention is to buy the stock at lower levels such as the strike at which you are short — then at the date of expiration, you will be “put” the stock at the strike price – and you will own that stock with an unrealized loss once that in-the-money put option is exercised. So if you have $10 stock and you sell the $9-strike put with the intention of owning that stock at $9 — in the event the stock drops to $8.50 — then you will be “put” the stock at $9. So that means you will own 100 shares of that stock at $9 for a $900 value in stock) — but the value of your holdings will be $850 — since the stock is at $8.50 at expiration. You will then have an unrealized loss of $50. So while this is negative, it’s not all that bad because your intention was to own the stock at $9. Meanwhile, if the stock never dipped and instead rallied from $10 to $11 — well, then you get to keep the value of your put that you sold. It’s just that you didn’t get to fully participate in the rally, but you’re still in the green. This example generally highlights the how you might use a naked short put. Short naked puts are highly risky especially if the market goes to 0 — which is a possibility – but it’s just ever so less risky than the uncovered call – which is what options level 5 is. Options level 5 is the same as level 4 – except you can also write / sell naked calls. In a bullish environment, this is a bad idea – especially with biotech or big moving stocks. A temporary sharp rally in the underlying can make your calls that you sold explode in value – and because of daily settlement, you may be deep in the red when this happens. In general, we don’t recommend level 5 – because selling uncovered calls opens you up to unlimited theoretical risk – if some biotech stock explodes in value, for example, you could owe your brokerage many many multiples of what you put in. Level 6 is more or less the same as level 4 and 5 — except applied to index options. So not much more to say about this. Overall, we recommend options level 3 – to have the ability to work with spreads. Level 2 will give you basic options privileges, but you’ll want the ability to do spreads – if not now, then eventually — to cap your risk. So this includes credit, debit spreads, as well as iron condors and such. 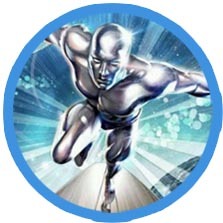 SilverSurfer is a former hedge fund derivatives trader at a Wall Street Investment Bank (Prop Trading Desk) and has been trading the markets since 2002. He received a B.S. in Management Science from Stanford University with a focus on Finance and Decision engineering. He was actually in the audience during Steve Jobs’ now famous graduation speech. This trading education blog is partly a result of the inspiration from that speech. Here at LifeStyleTrading101, Mr. SilverSurfer serves as Head Trader sharing not only his market views and trades publicly, but also his passion and vision to educate everyday people with real-life practical skills in how to make a little extra money in the global financial markets. You’ve seen his expert wave analysis of the markets above. Now you can subscribe to his Trade Of the Week premium service to learn exactly how he is trading today’s market, week after week.